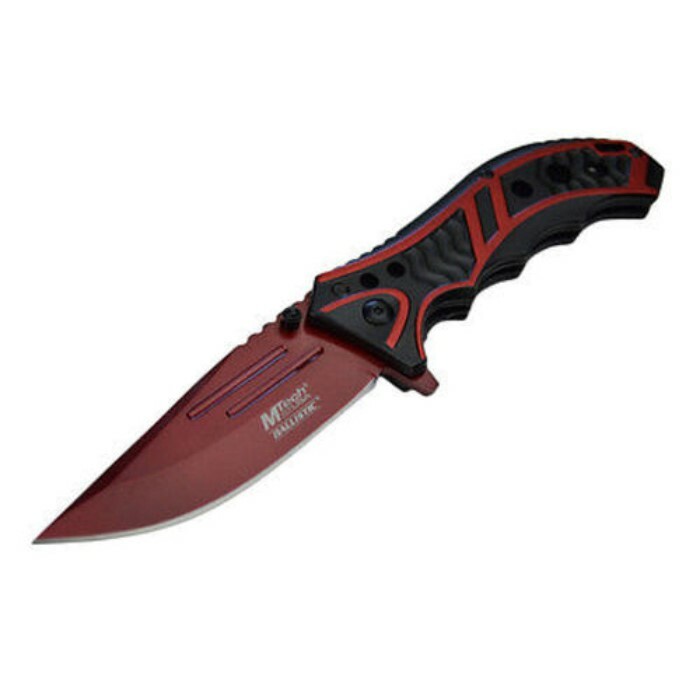 Rough and ready for your next adventure, this stainless steel knife is nearly five inches long when closed. 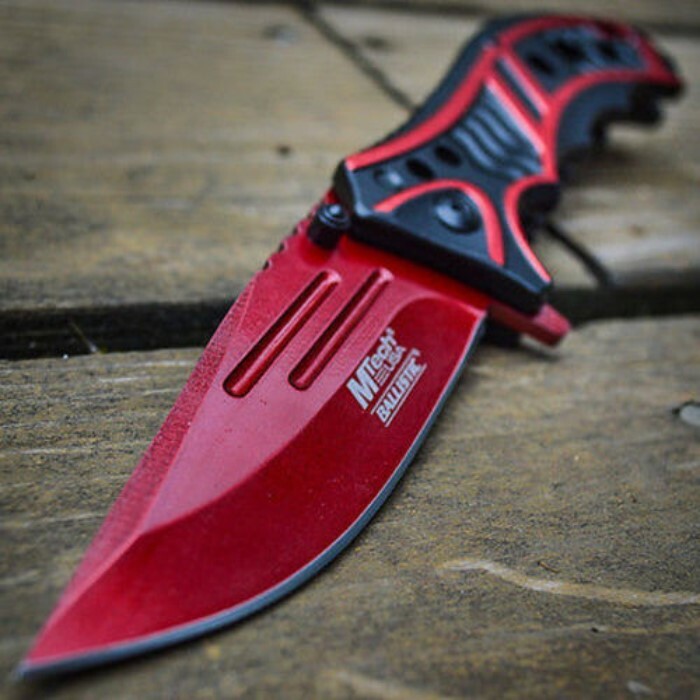 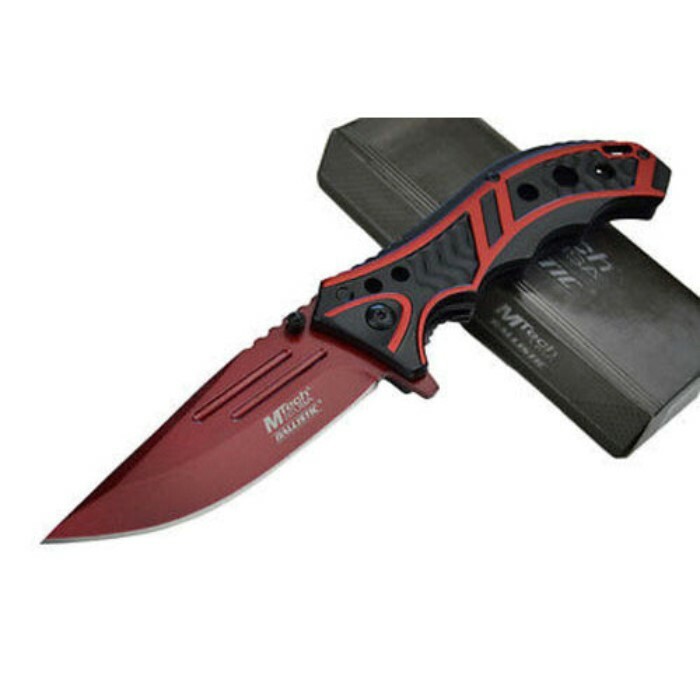 Almost four inches long, this blade is spring assisted and has been painted red to make it standout in a crowd of boring knives. 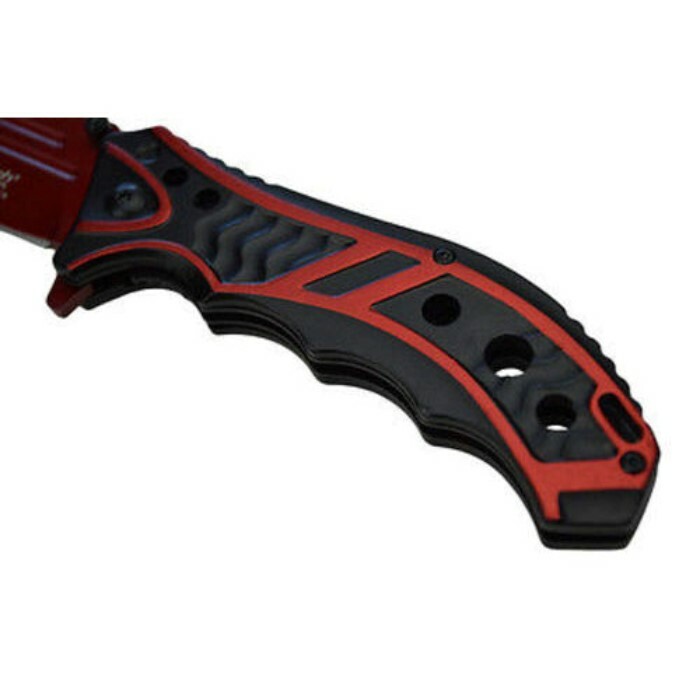 The handle is a wonderful aluminum made of both black and red and has a rugged look that any man will be proud to use. 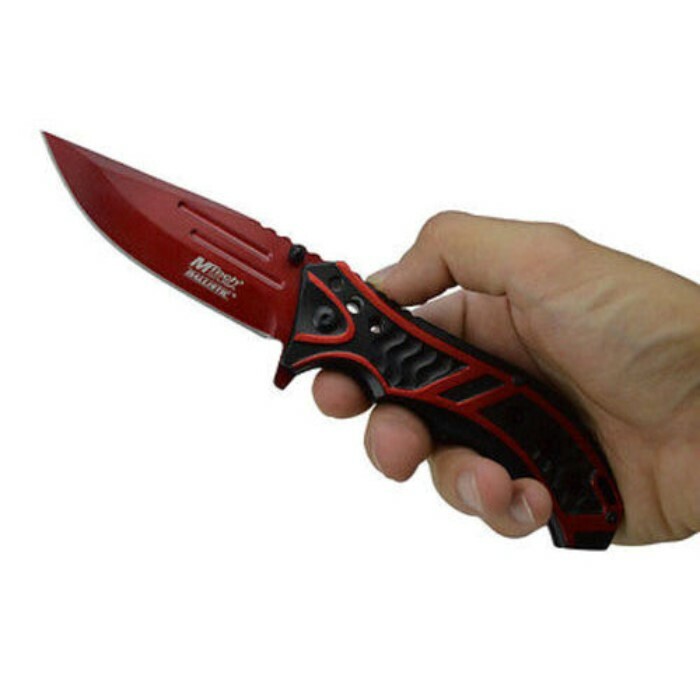 The pocket clip is black and easily keeps the knife in place so it won't be lost when you need it the most.